Travelling is a time-consuming business, one that often leaves people feeling exhausted as they frantically plan the logistics of a journey. This problem can be exacerbated by the intricacies of travelling for work, which presents its own unique challenges. From gauging the weather and knowing what to wear to planning the route to the airport and scheduling meetings with international clients, there are many elements to consider before jetting off. In the past, these concerns could only be addressed with vigorous planning but, as technology has advanced, apps have presented effortless solutions. Circa is an app designed to help travellers keep track of time differences across multiple countries. It can be used to meet up with colleagues, family or friends, and has a number of features allowing users to issue invitations seamlessly. The calming, minimalist design of Circa adds tranquility to travel and has been praised for its easy-to-navigate interface. The app is currently available on iOS and Android. Flying privately has never been easier than with business aviation’s first end-to-end booking app: VistaJet Direct. With the help of app developer Monitora, VistaJet has created a platform that allows travellers to take full control of their travel experience – managing everything from catering preferences to ground services – while also saving time and money. Available from the App Store and Google Play, VistaJet Direct gives clients access to all 72 aircraft in the VistaJet fleet, allowing them to be picked up from anywhere in the world with as little as 24 hours’ notice. If you need to make a phonecall abroad, Rebtel provides the perfect solution. Although Skype and WhatsApp often dominate the international calling and messaging market, Rebtel fills in the gap when travellers do not have a Wi-Fi connection. 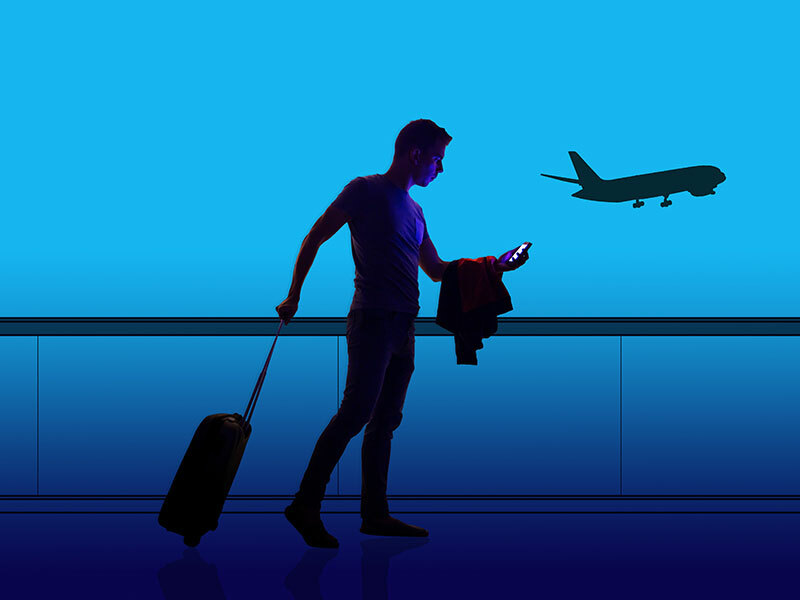 The app constantly analyses traffic to give travellers the lowest prices possible for their calls, connecting users through local phone lines. For anyone who struggles to decide what to take on holiday or is constantly paying over the odds for additional carry on, PackPoint has the answer. The app automatically identifies items travellers will need to pack based on information about their adventure, such as destination, date of travel, length of stay and the activities they plan to undertake. The app is easily adaptable and can be changed once an initial list is configured. Perhaps one of the most revolutionary travel apps available at no cost, Google Translate allows users to effortlessly translate foreign languages into their mother tongue – and vice versa. The app’s simplicity – users need only hold their smartphone’s camera up to a sign or menu to be translated instantly by Google – has made holidays a far more relaxing and productive experience. Bon voyage.